A diocesan priest ordinarily serves the church within a well-defined area (a diocese). He serves the people as a parish priest, but may also be involved in other forms of ministry: teaching, chaplain in hospitals, prisons, campus ministry, etc. A religious priest, on the other hand, is a member of a community which goes beyond the geographical limits of any diocese. A religious priest seeks to live a vowed life within a community of men for mutual support and accomplishment of some work. There is an emphasis in the community on shared ideals, prayer and commitment to Christ. Religious priests work in a wide variety of ministries. A diocesan priest is primarily a parish priest, but he can also be assigned full-time to a specific ministry in the life of the Church. 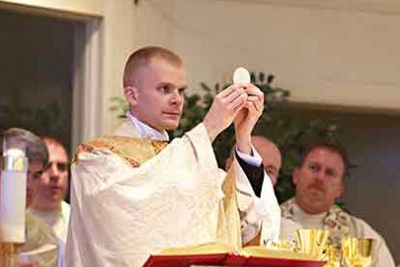 Some priests may completely dedicate themselves to teaching, others to work in prisons and others to serving as hospital chaplains or college chaplains. Although diocesan priests make no vows, at ordination they freely make promises of celibacy and obedience to their bishop.